OSWEGO — SUNY Oswego’s Advanced Wireless Systems Research Center has won a two-year, $100,000 research grant from a Western New York antenna manufacturer to co-develop high-efficiency compact antennas for railway transportation systems and, potentially, other applications. SUNY Oswego has secured a $100,000 sponsorship grant for research to co-develop compact, high-efficiency antenna technology with STI-CO Industries of Orchard Park. Dr. Patanjali Parimi, director of the college’s Advanced Wireless Research Center, is principal investigator for the two-year collaborative project. Dr. Patanjali Parimi, director of the research center and principal investigator for the grant, said STI-CO Industries of Orchard Park made the award to take advantage of the college’s state-of-the-art wireless lab and equipment, his professional experience and the center’s doctoral-level and post-doctoral research staff. STI-CO has clients in law enforcement, emergency response, transit and other realms in the United States and Canada. Kyle Swiat, president of the privately held company, expressed pleasure with the agreement. 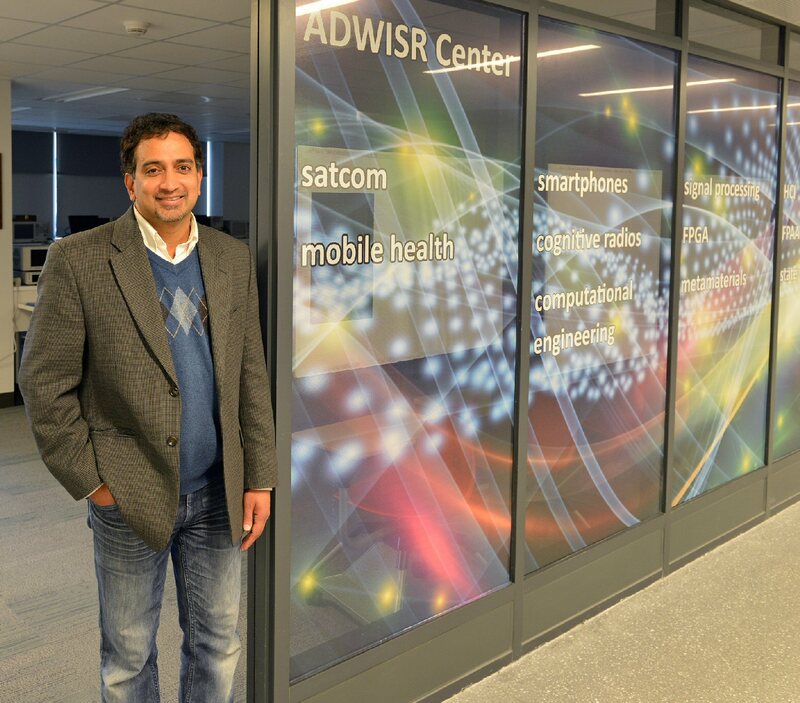 Under terms of the grant, administered through the Research Foundation, Oswego’s wireless center will be responsible for design, simulation, measurement and preliminary prototyping of miniaturized, omnidirectional antennas. Scientists will test a variety of synthetic materials and other techniques to achieve size reduction. STI-CO will produce a final prototype and manufacture the wideband antennas. In what Parimi said is a groundbreaking arrangement for the college, STI-CO and SUNY Oswego essentially will share a post-doctoral research position. A search to fill it is under way. The agreement calls for the collaborating researchers to disclose any new data, discoveries or inventions to the Research Foundation’s Technology Transfer Office for potential patent protection. The center’s research laboratory in the Shineman Center features signal generators, signal analyzers, network and impedance analyzers, and computers running cutting-edge software packages. An anechoic chamber for testing in an environment free of reflections of sound and electromagnetic waves is under construction in Wilber Hall. Parimi brought his years of experience in industry and higher education to Oswego last fall to develop and direct the interdisciplinary Advanced Wireless Research Systems Center, which is part of the Institute for Environmental Health and Environmental Medicine. The institute was funded by a SUNY 2020 grant on which Oswego, SUNY Upstate Medical University, SUNY College of Environmental Science and Forestry and Onondaga Community College partnered. Oswego’s research center is a training lab that primarily focuses on curriculum development — courses in computer science, electrical and computer engineering, physics and mathematics — and research in environmental health and environmental medicine. The center carries out innovative research in patient health care monitoring, automobile communication and other commercial and military communication and radar systems, Parimi said. In health care alone, the center’s research interests include mobile health care monitoring and diagnostics, implantable devices, human-machine interface, non-invasive smart sensor systems and medical imaging. It has been part of the research center’s plan from the start to seek collaborations with government, corporations and universities, nationally and internationally, Parimi said. Prior to joining SUNY Oswego, he worked as a director of Lambda4D, senior director at Newlans, manager for advanced technology at SI2 Technologies and senior antenna engineer at Cobham Defense Electronic Systems. He also served Northeastern University as a research associate professor and senior research scientist. I have been in the antenna development field for over 50 years. Most recent efforts were for space craft and planetary robots. This article said nothing about the frequency range the antennas were being developed for.